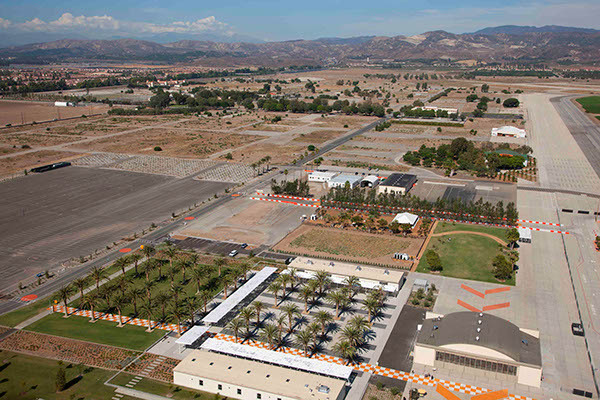 Ken Smith Landscape Architect led a multi-disciplinary team that won a major design competition in 2006 for the reuse of 1,348 acres of the decommissioned El Toro Marine Corps Air Station as a metropolitan park serving the southern California region. The design team prepared a full master plan and comprehensive park design for the project. Ken Smith has also been responsible for the design of early activation park improvements including the Preview Park with its orange observation balloon and the Western Sector Park Development Plan with its Farm and Food Lab, Community Gardens, Kids Rock play environment, Palm Court Arts Complex and North Lawn Soccer Fields. The Great Park planning and design emphasizes sustainability at a large scale, making social spaces that emphasize community and health, and connections to regional identity and a sense of history. The Palm Court Arts Complex is located within the site of the earliest Marine Corps squadron unit, built in 1943. The bow truss historic hangar along with two flanking historic warehouses have been restored and adapted for contemporary use as an arts complex. The landform between the two warehouse structures was holistically raised to eliminate former loading docks and create a continuously accessible multi-use site with iconic palm grove. 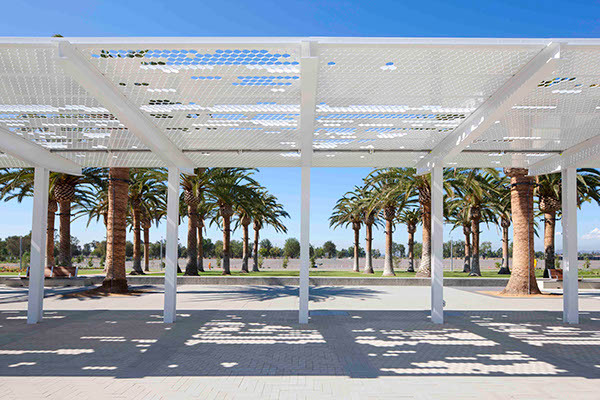 Shade structures provide enclosure to the site and frame views. A series of landscape terraces give structure to an outdoor performance space. Designed landscapes simultaneously define human scale spaces within the park and open up and frame views to the larger landscape beyond. 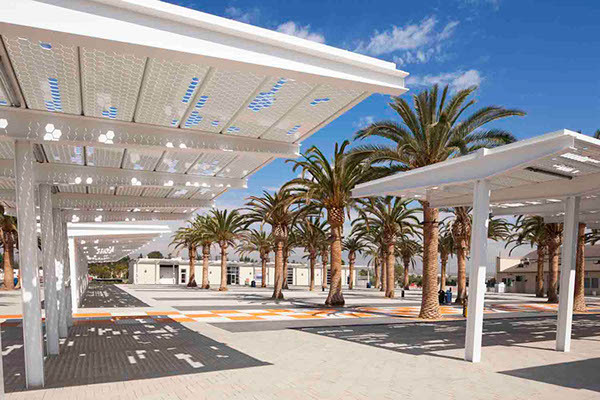 Palm Court is the centerpiece of an arts complex in an early phase of redevelopment of decommissioned El Toro Marine Air Station into 1,360 acre metropolitan park in Southern California.